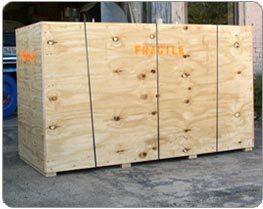 Our Onsite crating services are a fast and convenient way to get your possessions protected. 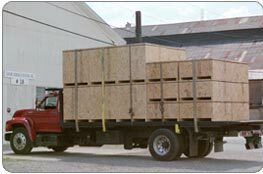 We arrive at your home or office with the necessary tools and materials to build a crate from the ground up. Packing materials bubble wrap, foam, tape, it is all used to insure your most prized possessions are trasported safely. The type of wood used is pine. Pine is used due to it's durable nature. 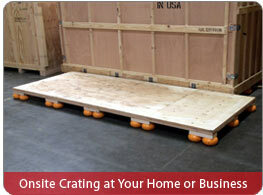 Most other third party crating companies offer similar service but without the same level of detail and attention that a true craftsman can offer. If you have specifications, vehicles measurements or any other special requests, we would be glad to cater to your needs.